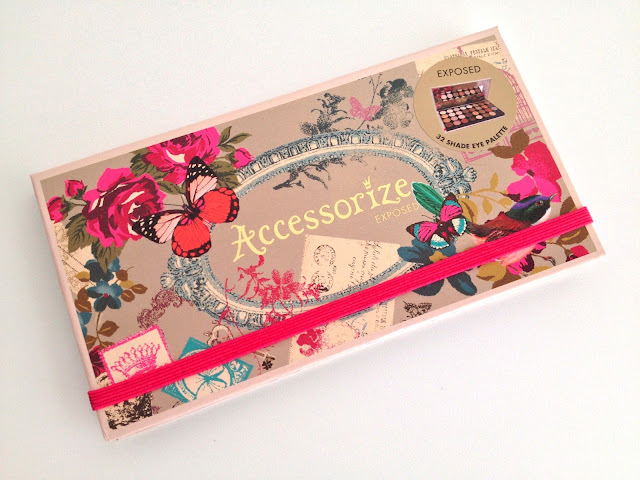 I was having my weekly peruse through the makeup aisles of Superdrug when I spotted a palette so gorgeous, so wearable, so compact and so inexpensive that I grabbed my friend and started squealing (no joke!). I haven't actually read anything about these palettes in the blogging community, which is quite surprising, but let's take a look. This palette comes with a whopping 32 eyeshadows, 6 of which are matte, with the others ranging from a little shimmery to super sparkly! 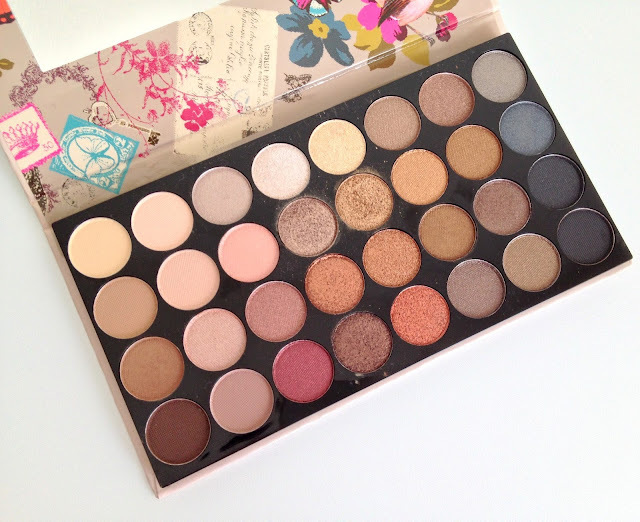 All of the colours are neutrals and include taupes, beiges, bronzes, golds, gunmetal, coppers, and light champagne eyeshadows; you could create a plethora of looks just with this one palette. Let's talk eyeshadow quality - they are well pigmented and apply nicely onto the lids. I would recommend using an eyeshadow primer with these, because without one the longevity of the shadows aren't fantastic. I also didn't experience any fall out with these shadows which is great. Some of the lighter matte shades are a little on the chalky side, but to be honest, with 32 eyeshadows in the palette, I'm happy to overlook 2 or 3. I've swatched eyeshadows from the fourth column from the left to demonstrate the pigmentation. This palette would be a great item to travel with as you'd have all the colours you need, from a crease colour to an inner corner highlight. It also has quite a large mirror which would come in handy! Finally, the best part of all - it's only £8.95! Would I trade in my beloved Urban Decay Naked palette for this Accessorize offering - probably not, since the Naked palette is more pigmented! Nevertheless, this is a great product and would make a fantastic palette for younger girls and those on a bit of a budget!